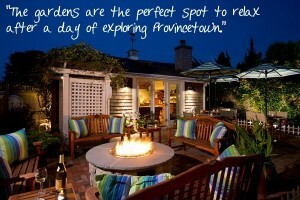 Enjoy everything Provincetown has to offer: its world famous natural harbor, steaming red lobsters, whale watching, the scent of the wind off the water and the spectacular famous beaches and dunes. 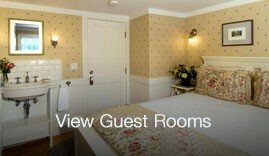 Our Provincetown inn is the perfect place to stay while vacationing or visiting this historic area of Cape Cod. 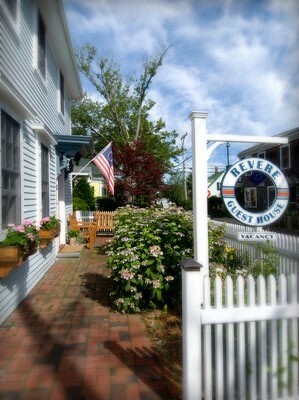 Revere Guest House is a beautifully restored 19th Century sea captain’s home located in the heart of Provincetown on Cape Cod. Our guests always fall in love with our common room where one can soak up the sun and relax in comfort, listen to music, or maybe read a new book. 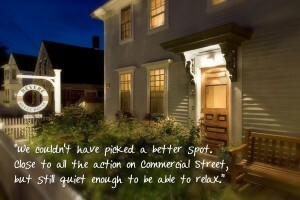 It is a great place to socialize and meet others, or to just sit by the fire and keep warm on those cold fall days. 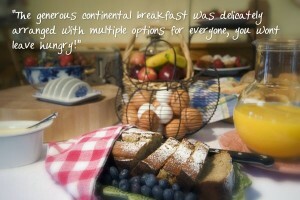 Take a step outside to the patio in the private garden and spend the morning at our inn in Provincetown enjoying our complimentary continental breakfast, including Cape Cod Roaster’s Coffee, various flavors of Tazo and Twinings Teas, orange juice, home baked goodies served with various jams, fresh bagels, english muffins, breads, yogurts, hard boiled eggs, and of course, fresh fruit depending upon the season. 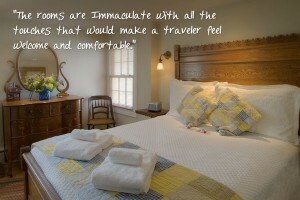 The Revere House was a featured Provincetown inn on the famous TV show “If Walls Could Talk” when a time capsule of documents from the 1860s were found during renovations. 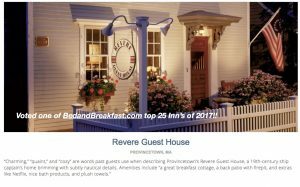 See for yourself what makes the Revere House the perfect Inn to stay while visiting and enjoy all Provincetown, Massachusetts has to offer.